I was recently given the opportunity to try Heads Up Bands, a colorful non slip headband created for a powerful reason. The founder of Heads Up Bands created these head bands after staying strong through a diagnosis of breast cancer and the treatment that followed. She needed a way to control her post treatment hair when working out so set out to create a comfortable no-slip headband. #Disclaimer: I was asked by Heads Up Bands to complete a review of their product. I was given two Heads Up Bands in return for this review. I was not compensated for this post and all opinions are my own. I love this style of head band because they do not give you a headache when you wear them and they simply don’t move even when running long distances like I do. I had always tried wearing elastic headbands for running before but they would always fly off the back of my head without fail in the middle of a long run or during a race. I was actually convinced that maybe my head was just an unusual shape. Heads Up Bands are the perfect way to keep those annoying fly away hairs out of your face as you run (You know . . . the flyaway hairs that were cut to short at the hair dresser when all you asked for was a trim and you walk out looking like Farrah Fawcett gone wrong . . . that happened to me. True story.) The key to Heads Up Bands is the strong elastic covered with colorful ribbons and a swath of velvet on the back to prevent the head band from slipping off your head. Hooray! My favorite thing about Heads Up Bands are the wild and crazy colorful patterns. They suit my style and let’s be honest who doesn’t want to look stylish while running an epic trail run and sweating like crazy. It actually makes me feel even stronger to “dress up” while getting down and dirty on the muddy trails and they look great with my Skirt Sports Running Skirts too! If you want to take a look at more of the patterns and colors to choose from you can head over to their website HERE and Pick your favorite Heads Up Bands and get ready to be Healthy–Strong–BEAUTIFUL! 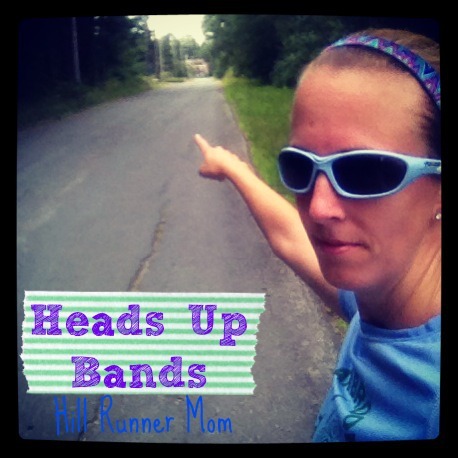 I wear my Heads Up Bands all the time–during long grueling trail races (Check out my Jay Peak 25K Trail Race report HERE), during training runs, and even when out and about with my kids or out with friends. 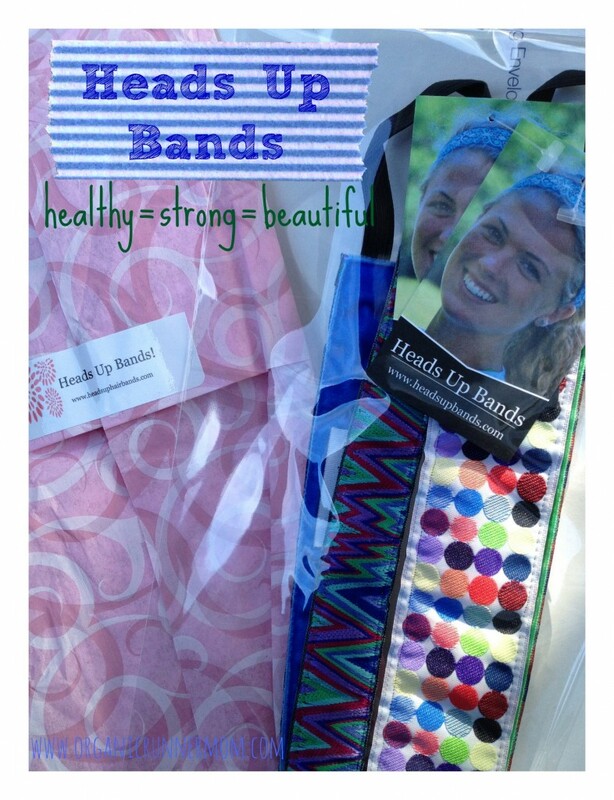 Please check out Heads Up Bands and support a fantastic company created by strong women!